This is set to become a landmark case for the Indian pharmaceutical industry—and for patients. When Natco Pharma of Hyderabad wrote to Pfizer, the world’s largest drugs manufacturer, that it wanted a voluntary licence (VL) to make a low-cost version of its antiretroviral drug maraviroc, it was setting the stage for clarity on how well the compulsory licensing or CL system works in India. Maraviroc (sold under the brand name Selzentry or Celsentri) is a new generation drug used to slow the progress of HIV, the virus that causes AIDS. It is prescribed for adults who have not responded to other HIV treatments. It was approved by the US Food and Drug Administration (FDA) in August 2007 and was fast-tracked for approval by the regulator because it offers hope for patients who need a new alternative treatment for HIV. Almost simultaneously it was given a patent in India in December 2007, the first HIV/AIDS medication to get patent approval in the country. Unlike other such medications, maraviroc works by blocking the entry of the virus into human cells. Treatment with maraviroc costs about Rs 66,000 per month and generics manufacturer contends that it can provide a more affordable version of the drug at a cost of Rs 15,000 per month. According to company sources, Natco sent a legal notice to New Yorkbased Pfizer on December 6, 2010, exactly three years after the patent was granted, seeking a voluntary licence to make a generic version of maraviroc since the original drug was too expensive for HIV patients in India. Why is this challenge of a David—Natco revenue in 2009-10 was Rs 477 crore—to a Goliath (Pfizer turnover in 2009 was $50 billion) important? 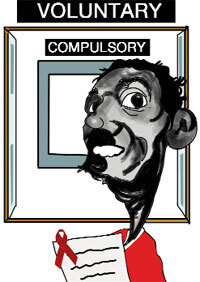 The voluntary licence as everyone in the industry knows is merely a formality for getting a CL. Under the rules, the US drug manufacturer has six months to respond to Natco’s notice. It could either agree to a licence by setting stiff terms for working the patent or outright reject the demand by citing the huge costs incurred in developing the drug. The latter is more likely according to industry experts because Pfizer, which is said to have been working on the drug since 1997, is unlikely to give away the fruits of its R&D so readily, specially since it is a blockbuster drug. What happens then is that Natco will seek the issue of a CL from the government of India to work the patent. A CL is issued by the government, or its arms, such as the Competition Commission, to third parties to produce and market a patented product or process without the consent of the patent owner in the case of a health emergency or for use in public health programmes. This is a provision allowed under the World Trade Organization’s Agreement on Trade Related Intellectual Property Rights or TRIPS to ensure that patients are not denied essential medicines on account of patents. So far India has not used this provision although countries such as Thailand, Brazil and South Africa have done so. In all these cases, the primary source for the cheaper generics version of the patented medicines was India. In case a drug gets patented in India, the country which has been sourcing it from here can also seek a CL from the Indian government. The fourth option is for generic companies themselves to seek a CL if the VL does not come through. Hence, the significance of the Natco-Pfizer stand-off. So why didn’t generic companies use this route earlier? Kajal Bhardwaj, lawyer working on HIV and human rights, tells me that one reason is that a sizable number of Indian companies are tied into marketing and licensing agreements with drug majors and would not want to jeopardise their commercial interests by taking on the big boys of the global pharma industry. Besides, the top generic companies in the country are no longer Indian; they have all been taken over by multinationals. Natco, however, has been the gadfly of the industry and is involved in several patent opposition cases, several of which have landed in the courts. Three years ago it had tried to get a CL from Nepal for Pfizer’s anti-cancer drug sunitinib but desisted after that country showed no interest in pushing the matter. This time, however, the company is likely to pursue the issue to its logical conclusion. Bhardwaj, one of Delhi’s diehard health activists, says Natco’s request for a voluntary licence from Pfizer starts a crucial test for the CL provisions of India’s patent law, which was amended in 2005 to allow product patents. Under Section 84 of the Indian Patents Act, a competitor can apply for a CL three years after a patent is granted. This explains the timing of Natco’s letter to Pfizer. When considering a CL claim, the government will examine whether the applicant had been granted a VL on reasonable terms and conditions and within “a reasonable period of time”, that is, six months. Come May, we should see interesting developments. Or, perhaps, earlier.